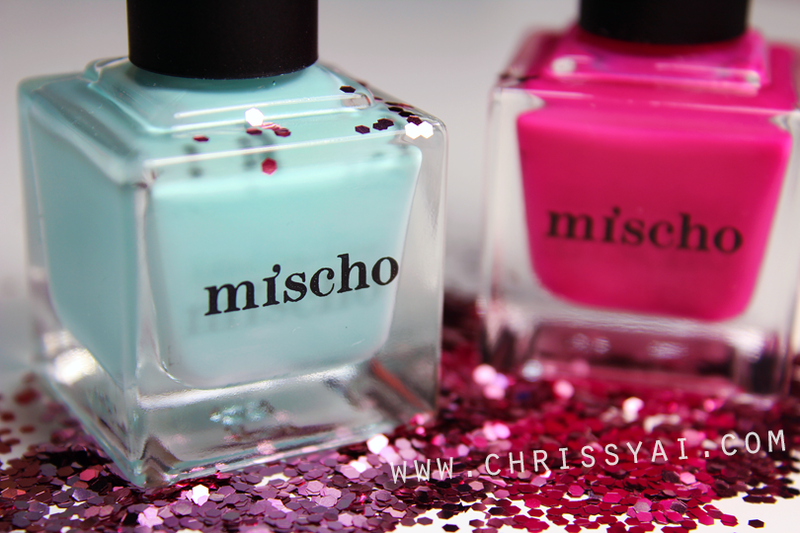 Today I have a couple swatches for you all of Mischo Beauty's Marilyn and Jackie. 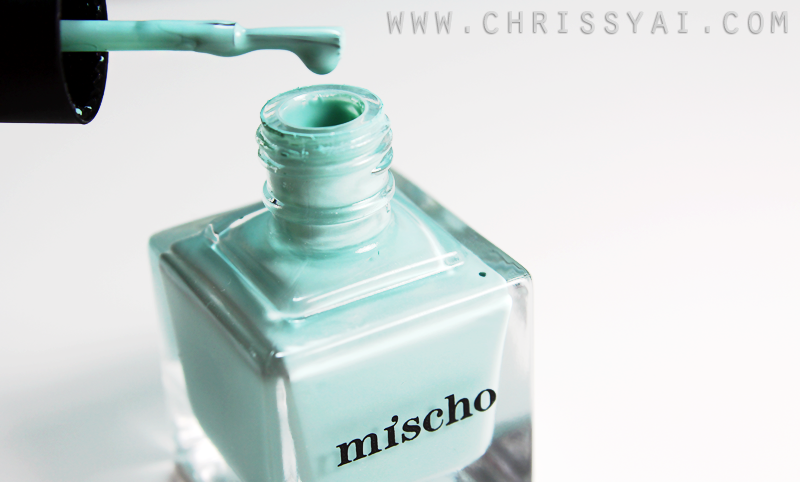 Mischo states that it offers a smooth, chip-resistant formula, with long-lasting shine in the most current colors. They are toxin-free, cruelty-free, and also 5 free. I'm also really impressed with the formula quality of these polishes and I love that they're cruelty free. Jackie is a bright blue creme. Ugh. Can we just take a moment to admire how gorgeous this color is? Seriously. I'm a sucker for blues and this is certainly no exception. Marilyn is a bright pink creme-jelly. This polish applied so well, the formula didn't seem to be affected by the brush "problem" I had so that was great to see! My only issue with this polish is that I feel that the brush is not doing justice for the formula. Like I said, I didn't experience it with Marilyn, but with Jackie I had the problem of streaking. I really don't believe this formula is the problem because if I use a very light hand, the streaking wasn't evident. I feel that the problem is within the brush being a little too short/stiff and putting too much pressure down during application, thus causing streaking. Though I will say, the formula did an extremely well job of evening itself out. Jackie looks so great on you! Wonderful manicure!!! Such lovely pictures!